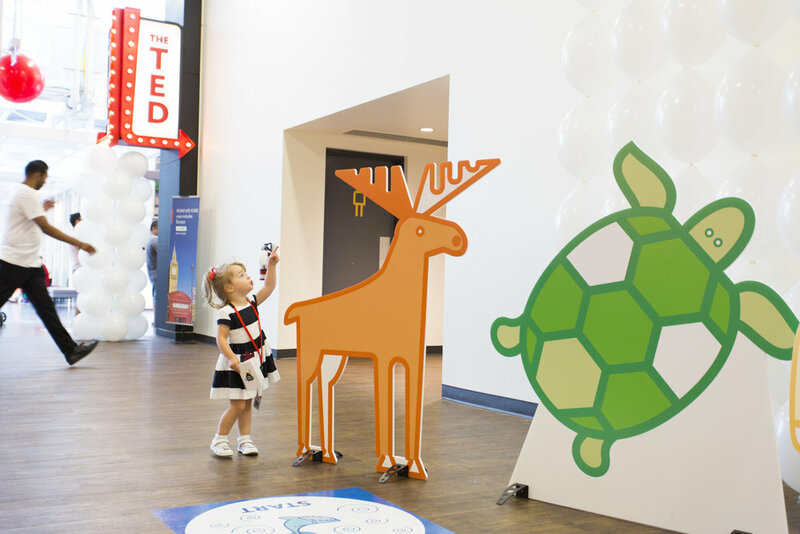 Branding a family themed open house for employees of Brampton Sharespace to share with their kids. 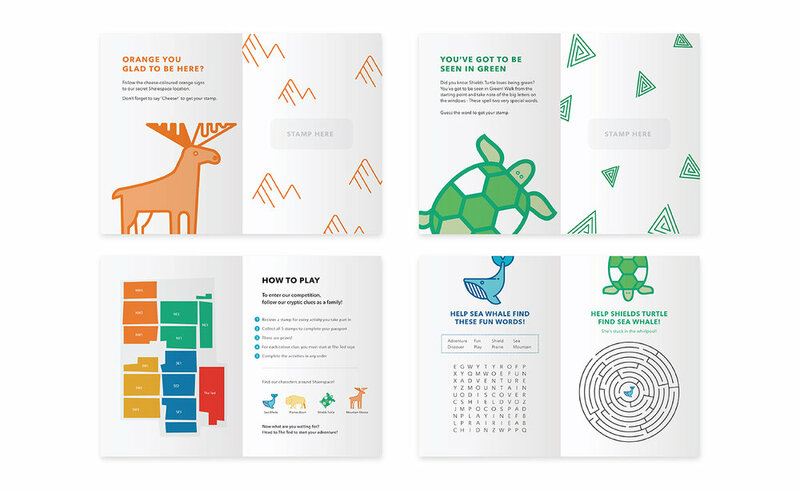 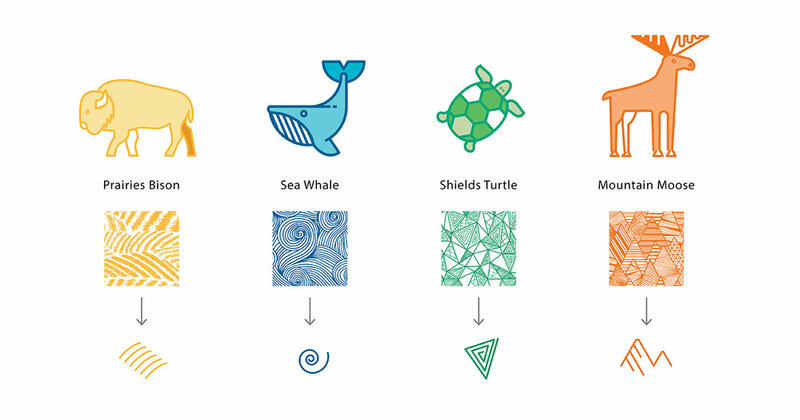 Each animal character and graphic element was developed from the corresponding Sharespace neighbourhoods; prairies (bison), sea (whale), mountain (moose), and shields (turtle). 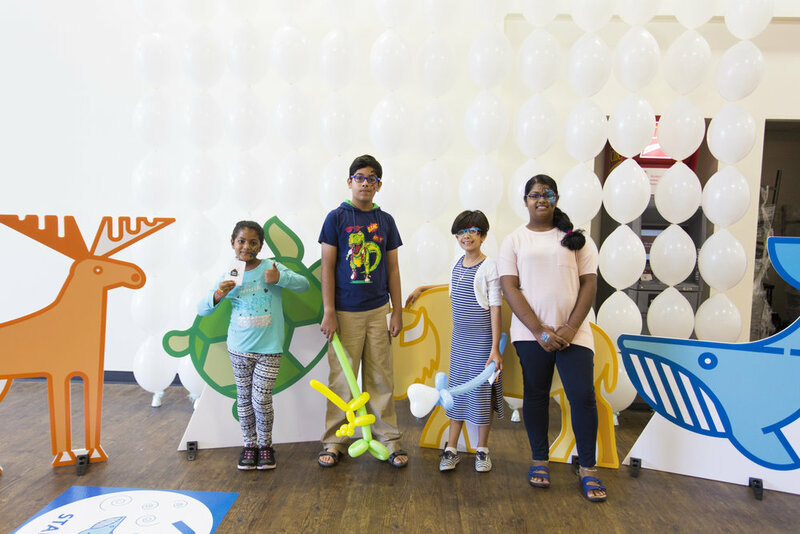 Kids were given a passport packed with activities that allowed them to explore and journey through their parents workspace.